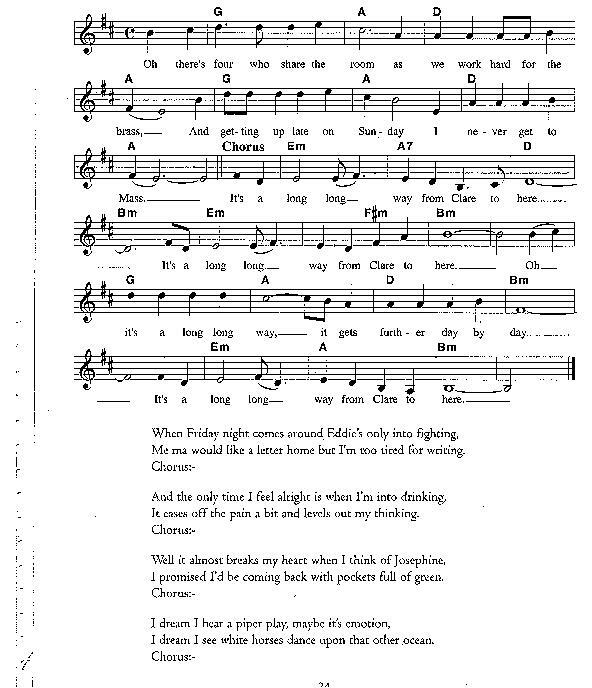 From Clare To Here Lyrics Guitar Chords And Sheet music by Ralph McTell, made famous by The Furey Brothers And Davie Arthur. It tells the story of Irish lads working on the building sites in England and dreaming of being back home in County Clare. It also deals with what most Irish men do when working away from home , and that's drinking and fighting and having the craic, sure what else would a fella be doing. Anyway I use a capo when I'm playing this one, it's on the second fret so I'm in the key of A. I have also included the mandolin / banjo tab.